Our old friend, CINGO, is now controlled with T-Skin device! T-Skin provides an ergonomic, lightweight smart case for The Tactigon ONE, so we updated the sketch in CINGO's Controller to handle the four buttons integrated in T-Skin. The Buttons now turn on and off movements communication, so if we want to stop the rover while drinking, we can! 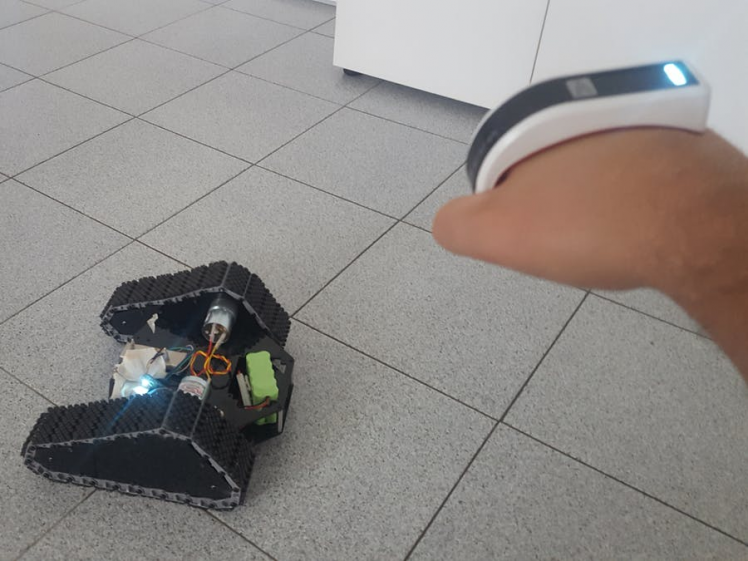 CINGO can now be used with hand movements, and by pressing a key, you stop data transmission and have hands free to create awesome routes to go with your nice tracked rover!